A suit for fitness swimming made from recycled nylon. 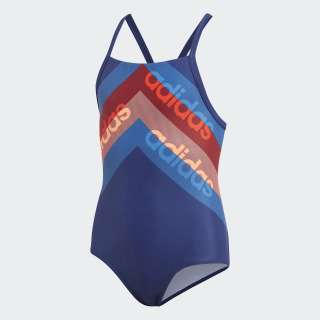 Reach a personal best in this junior girls' swimsuit. Its chlorine-resistant fabric is made with ECONYL® yarn that's spun from recycled ocean nets. The suit is cut with an X-back for freedom of movement. 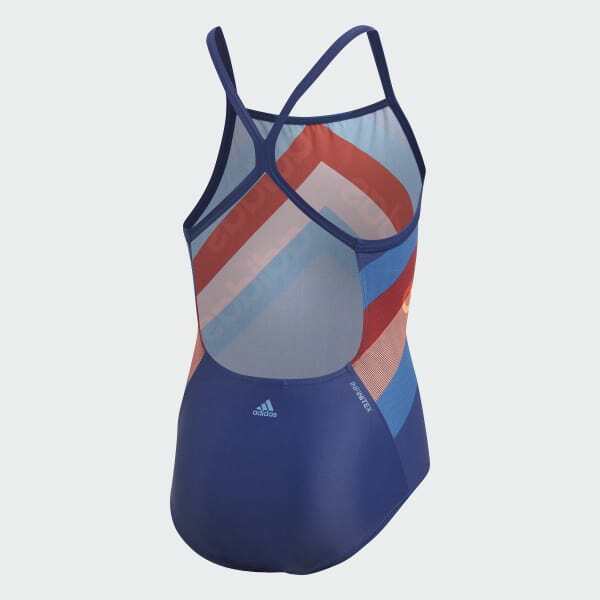 A colourful adidas graphic on the upper body adds heritage style.